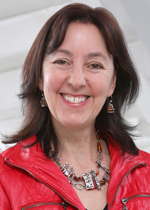 JoAnne Labrecque (PhD Cornell), is a Professor in Marketing at HEC Montréal since 1991. She teaches courses on Retail Management in the BBA program and Food Marketing and Distribution in the MSc program. Her research focuses on a variety of topics related to innovation in the food sector, product category management, satisfaction, value chain, sustainable development and, most importantly, analysis of consumer behavior towards various categories of food – functional, organic, fair or genetically modified – and health perceptions. She has authored several expert reports and is a member of various boards in companies that are specifically involved in the food and retail sectors. She is also a member of the INAF.